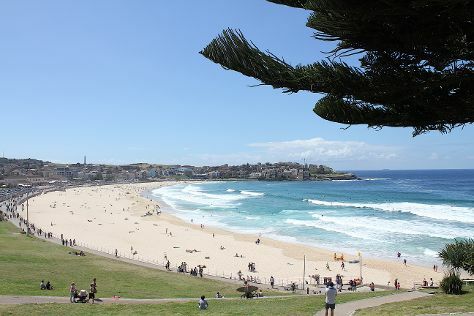 You'll visit kid-friendly attractions like Bondi Beach and Manly Beach. Your itinerary includes some good beach time at Coogee Beach and Shelly Beach. Step out of Sydney with an excursion to Wentworth Falls in Katoomba--about 1:35 hours away. There's lots more to do: take a stroll through The Rocks, snap pictures at Sydney Harbour Bridge, stroll through Bondi to Coogee Beach Coastal Walk, and look for all kinds of wild species at Featherdale Wildlife Park. To see other places to visit, reviews, and other tourist information, refer to the Sydney vacation planner. Manchester, UK to Sydney is an approximately 32-hour flight. Due to the time zone difference, you'll lose 10 hours traveling from Manchester to Sydney. Traveling from Manchester in February, things will get warmer in Sydney: highs are around 31°C and lows about 23°C. 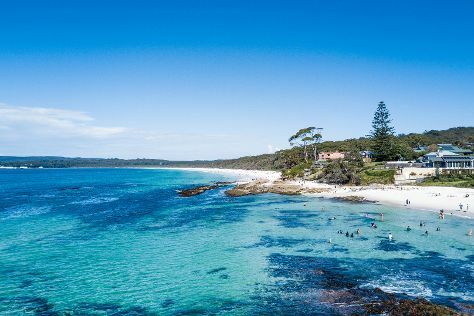 Cap off your sightseeing on the 21st (Tue) early enough to travel to Jervis Bay. Start off your visit on the 22nd (Wed): do a tasting at Berry Country Fair and then kick back and relax at Hyams Beach. Get ready for a full day of sightseeing on the next day: look for gifts at GoldFish Toy Shop and then stroll through White Sands Walk. To find other places to visit, traveler tips, ratings, and more tourist information, go to the Jervis Bay trip builder. You can drive from Sydney to Jervis Bay in 3 hours. Traveling from Sydney in February, Jervis Bay is a bit cooler at night with lows of 19°C. Cap off your sightseeing on the 23rd (Thu) early enough to travel to Hobart. You'll visit kid-friendly attractions like Bonorong Wildlife Sanctuary and Seven Mile Beach. Get in touch with nature at Mount Wellington and Kayaking & Canoeing. Spend the 25th (Sat) exploring nature at Mount Field National Park. The adventure continues: steep yourself in history at Battery Point. 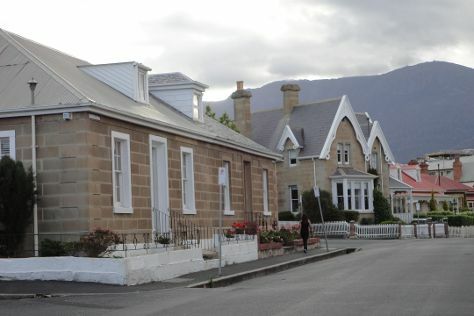 To find reviews, ratings, and other tourist information, read Hobart holiday planner. Explore your travel options from Jervis Bay to Hobart with the Route module. Expect slightly colder temperatures when traveling from Jervis Bay in February; daily highs in Hobart reach 26°C and lows reach 14°C. Finish your sightseeing early on the 26th (Sun) so you can travel to Coolangatta. A wrecked schooner that washed up on shore in 1846 is the namesake for the Coolangatta. Kids will enjoy Kirra Beach and Tropical Fruit World. Deepen your sense of the past at sights like Captain Cook Memorial and Lighthouse and Twin Towns Uniting Church. 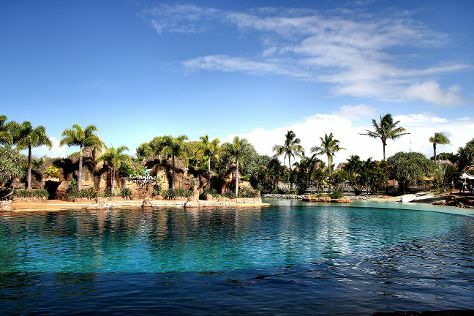 Change things up with these side-trips from Coolangatta: Main Beach (Sea World Theme Park & Speed Boats Tours), Kurrawa Beach (in Broadbeach) and Natural Bridge (in Springbrook). The adventure continues: tour the pleasant surroundings at Burleigh Head National Park. To find more things to do, reviews, other places to visit, and tourist information, use the Coolangatta sightseeing planner. Traveling by flight from Hobart to Coolangatta takes 6 hours. Alternatively, you can do a combination of ferry and car; or do a combination of ferry, car, and train. Traveling from Hobart in February, things will get a bit warmer in Coolangatta: highs are around 32°C and lows about 24°C. Wrap up your sightseeing on the 3rd (Fri) to allow time to travel to Cairns. Attractions like Palm Cove Beach and Michaelmas Cay make great kid-friendly stops. Get outdoors at Scuba & Snorkeling and Waterskiing & Jetskiing. There's lots more to do: whizz through the canopy at some of the top local zipline courses and adventure parks, pause for some serene contemplation at St. Monica's Cathedral, and soothe aching muscles at some of the top local wellness centers. To find more things to do, traveler tips, and more tourist information, read our Cairns travel planner. Traveling by flight from Coolangatta to Cairns takes 3 hours. Alternatively, you can drive; or take a train. Expect somewhat warmer evenings in Cairns when traveling from Coolangatta in March, with lows around 27°C. Finish your sightseeing early on the 6th (Mon) to allow enough time to travel to Margaret River. Visiting Meelup Beach and Gnarabup Beach will get you outdoors. 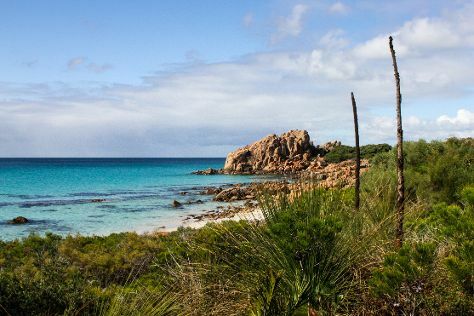 Family-friendly places like Yallingup Beach and Sunflowers Animal Farm will thrill your kids. Next up on the itinerary: get in on the family fun at Yallingup Maze and explore and take pictures at Margaret River Venison Farm. To see where to stay, more things to do, reviews, and other tourist information, go to the Margaret River online itinerary creator. Do a combination of flight and bus from Cairns to Margaret River in 12.5 hours. Alternatively, you can drive; or take a train. Wrap up your sightseeing on the 9th (Thu) to allow time to travel back home.